Keiki (kids) enjoy the shallow waters of Ko`ie`ie at any time of the day. The young babies find excitement when the gentle waves wash up along their toes and the older keiki chase after the small fish that swim along the edge of the water. Ko`ie`ie is suitable for keiki of all ages. 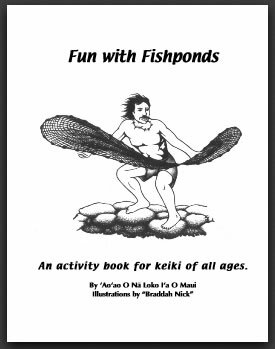 For fun activities about fishponds, check out the “Fun with Fishponds Activity Book”.